Nick O’Leary’s 2018 White Rocks Riesling ($38) from the Canberra District was awarded two trophies at the 2018 NSW Wine Awards last Friday. The white wine, made from the Westering vineyard opposite Lake George, was presented with the Best Dry White and Best Riesling trophies. Chair of Judges Dave Brookes said the wine was vibrant. 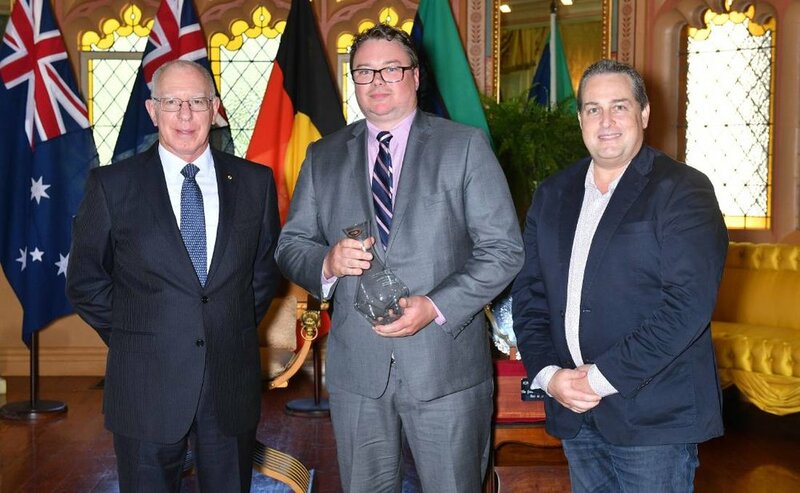 The NSW Wine Awards recognise the best wines in the state and were awarded for the first time this year at Government House Sydney. Nick O’Leary has been producing wine for over a decade in the region and is well-known for receiving the NSW Wine of the Year award in 2014 and 2015 with his shiraz. The winemaker was close to taking home the title again this year, but missed out by a matter of points to Mount Pleasant Wines’ 2017 Old Paddock & Old Hill Shiraz from the Hunter Valley. O’Leary told the Tribune that growing conditions during the 2018 vintage were “outstanding” for riesling in the Canberra District. O’Leary chooses to handpick his riesling and press the grapes in whole bunches back at the winery. This helps to retain the natural fruit flavour and acidity in the fruit, creating a “very refreshing drink,” he said. “He does the Canberra District proud,” said John Leyshon, President of the Canberra District Wine Industry Association and Executive of the NSW Wine Industry Association. O’Leary also acknowledged the hard work of other winemakers in the region. “Other [Canberra District] wineries have won good awards, which shows the area is really kicking goals. We’re not only shining in NSW, but on a national level too,” he said. O’Leary said conditions in the vineyard are looking good for the next vintage, with buds bursting evenly on vines. The challenge now will be managing the moisture levels in the vineyard soils. However, most vineyards in the region have access to water.